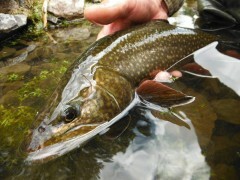 Hybrids were developed for a few different reasons. 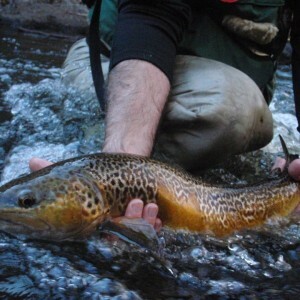 The first was a localized problem of whirling disease, and to breed a fish that was more resilient to the disease. 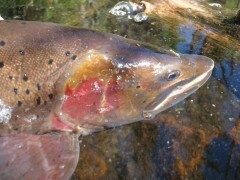 The second was to create a fish that was sterile and easier to manage. 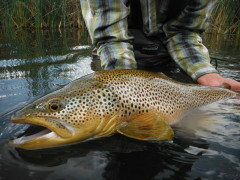 The third was to have a fish that was capable of thriving well in both high and low water conditions. 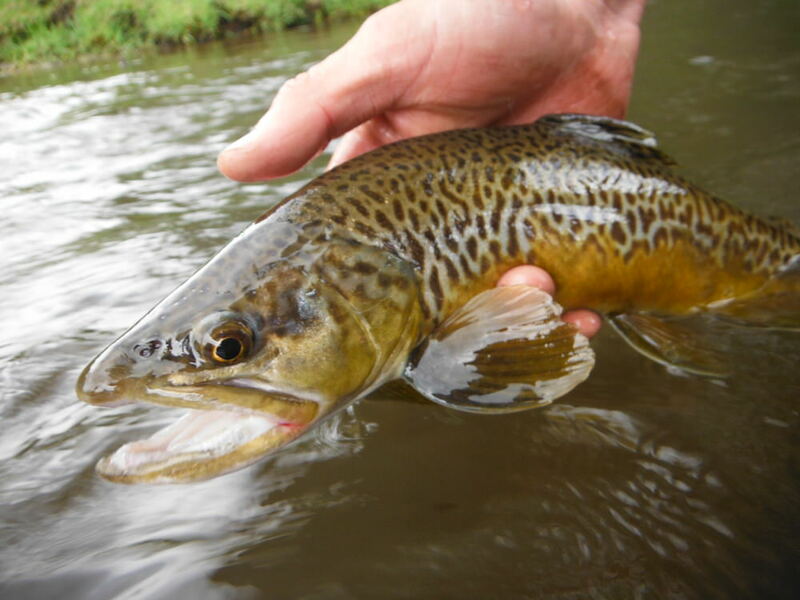 Fish experimented with were Brownbows, Brake, Tiger Trout, and Splake. 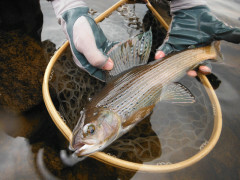 Because it was a local fish hatchery that experimented with the hybridization, many of these fish were tested in local waters to test for ability to adapt and thrive. 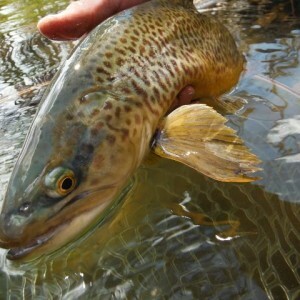 In fact, years ago Mill Meadow Reservoir was nicknamed Monster Meadow because fishermen never knew what type of fish they were going to pull out of the reservoir. 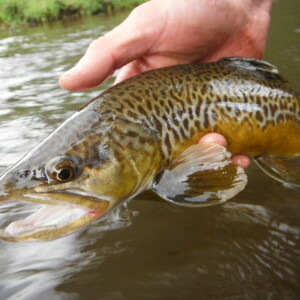 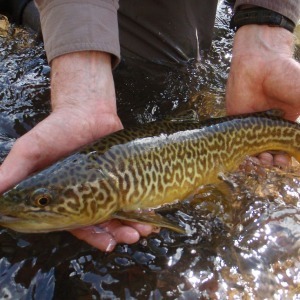 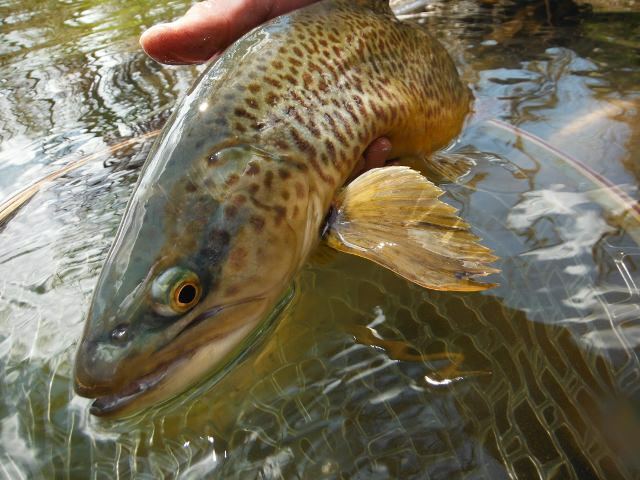 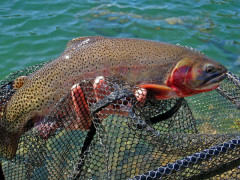 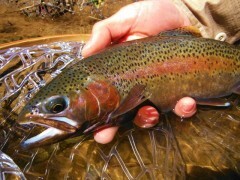 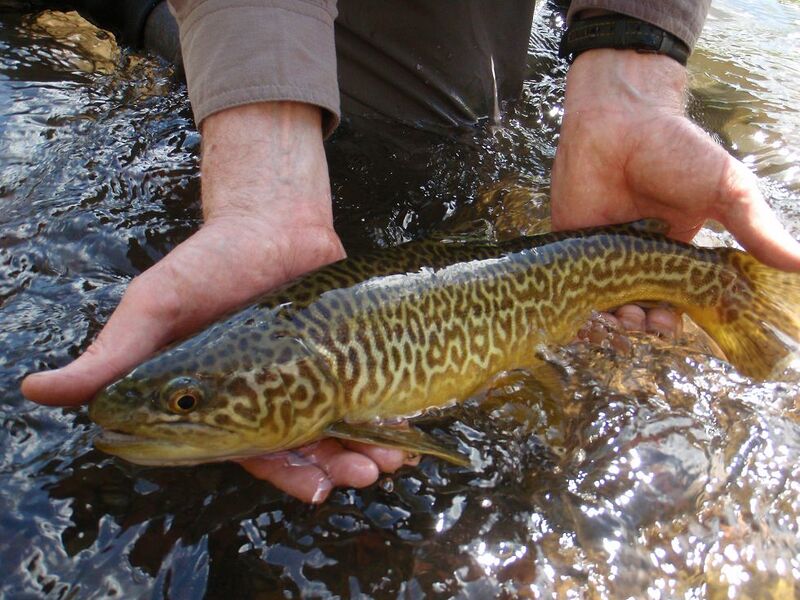 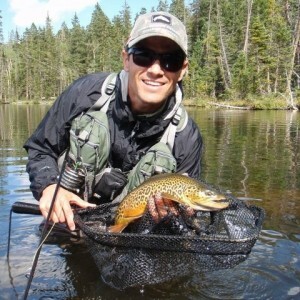 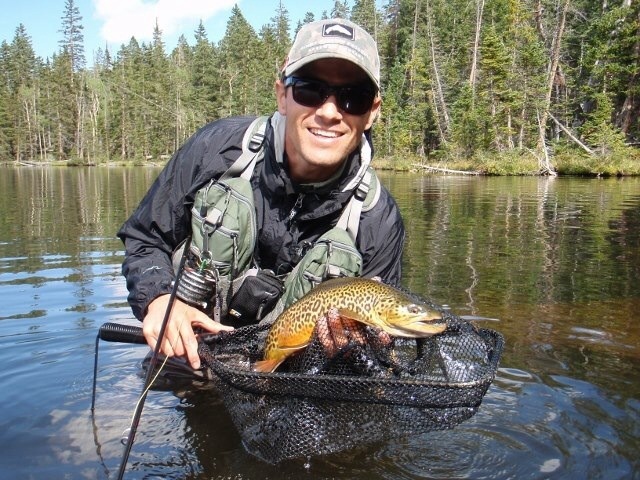 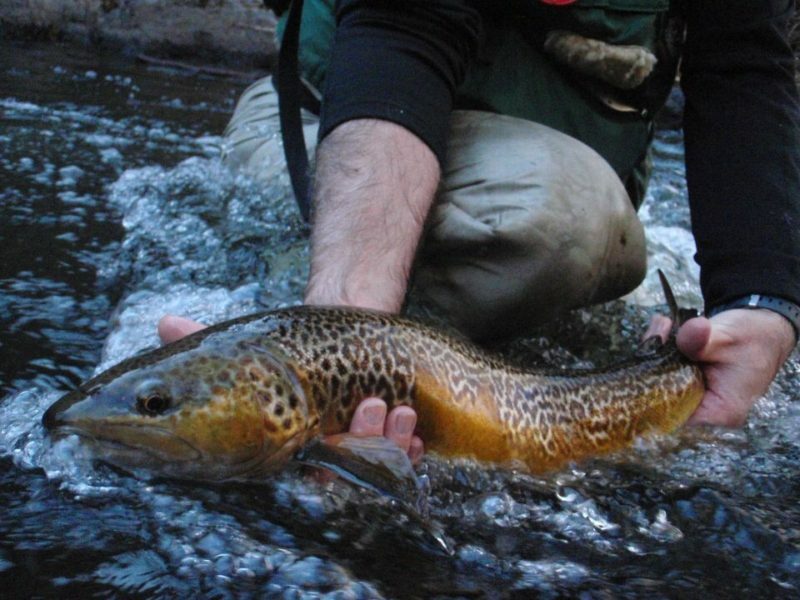 Tiger Trout have been stocked in both small mountain lakes, reservoirs, and small streams, and have proven to do well. 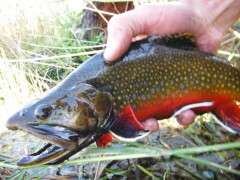 They tend to lean toward the Brook or the Brown in them relevant to the water that they are in, taking on vivid colors and patters when in small streams and lakes, like Brook Trout do, and leaning towards more of a silver washed out color when in deep reservoirs and lakes, like Browns often do.